Representing East Idaho homeowners and future homeowners specializing in Idaho Falls, Ammon, Rexburg, Rigby, Iona, Ucon and Menan; SanDee’s creative, enthusiastic, and caring nature is perfect for matching each client’s desires as well as skillfully featuring a home’s unique presence and character. Raised in Eastern Idaho, SanDee understands the numerous intangible benefits of life in the Gem State with its Rivers, mountains and farmland dominating the landscape. SanDee joined Catalyst Group as her children are raised and raising children of their own. 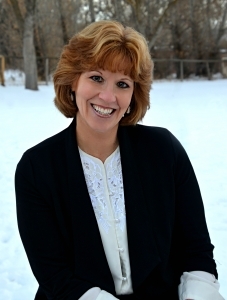 SanDee has enjoyed life experiences and work with; Law Enforcement, NCAA and High School Officiating, Self- Reliance Specialist with the State. Protecting and ensuring freedom of movement for people and commerce with the Department of Homeland Security. SanDee enjoys spending time with family golfing, camping, and gardening and crafts. She loves Idaho for the beauty, animals, summer weather and availability in outdoor activities. Discover the ideal neighborhood and the perfect home, close to mountains, rivers, and National Parks, utilize her experience and knowledge of the area, schools and communities. SanDee is dedicated to hard work, having integrity, and putting the client’s interest first. With a positive attitude and helping others, SanDee can identify your priorities to help you find the perfect property.